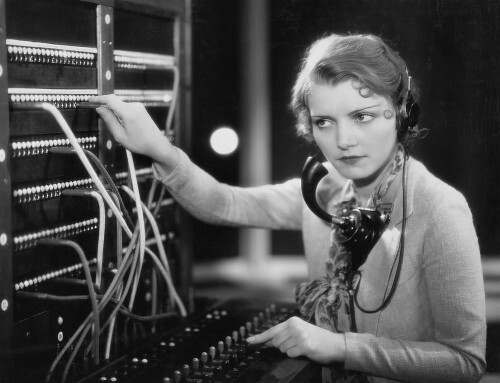 Love the operator – is that your Hamilton boffin? Yes, of course, that’s my friend Aaron. Do you like our new address? Yes, loads instantly. Links have changed automatically, didn’t notice until I looked at the URL. RC – “Cute operator too.” And her name is Aaron. Beautiful name too. RT – The new site is quick – I like it. The new domain does seem a bit faster, which doesn’t make sense to me, as it’s on the same server as WordShine, so it hasn’t moved. The only thing I can think of is perhaps, with the new domain not yet known to the Chinese hackers and evil computer genii who almost brought down the previous server in Albany a couple of years ago, there’s less overhead? For now, it’s crisp. Nice. Hey, RC, do you mind if I delete your comment about temperatures? You could choose somewhere more relevant, but putting it here just looks weird. Let me know. Yes, delete it. I’ll put it in ‘Temperature Records’. Good on yer, mate, thanks.